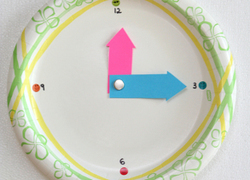 Practise telling time while waiting for dinner to be served using this clock placemat! You'll be able to tell time like a pro in no time! 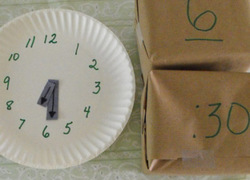 Here's a fun way to help your first grader practise telling time: cute play paper watches! Each watch shows a different time between 1:00 and 1:45. These bright play watches make fun accessories for dress up or play time, and have the added benefit of helping kids practise telling time. Fun to wear and fashionable to boot, these paper pretend watches are a cool way to introduce your first grader to analog time. Not only do these play watches introduce kids to analog time, they also make great props for dress up. 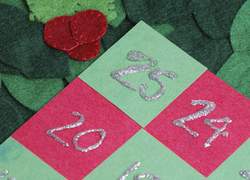 They might just look like cute playthings, but these printable pretend watches offer a hidden learning benefit: helping kids learn how to tell time. These adorable paper watches are fun to wear, and help kids practise telling time, too. With these cute cut-and-wear pretend watches, you can help boost your first grader's time telling skills and liven up pretend play while you're at it.